Caraselle Direct – Home Accessories Products Snowy conditions try best telescopic snow shovel buy onlline available. 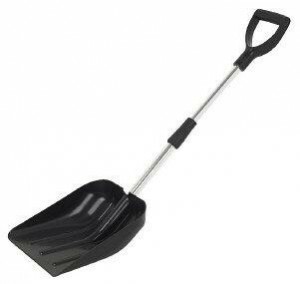 Telescopic Shovel makes ideal snow shovel to get you out of trouble in the snow! With the severe Winter weather we had last year I decided to take more precautions when travelling by car. Each year we all act as though it’s a big surprise that the cold weather and snow is here again, but it seems to be becoming a regular event. What precautions did I take? Yes, wellies in the boot, blanket and so on… but just as important (if not more so) a shovel became a very useful boot item during those snowy conditions! Telescopic handled shovels means that size is no longer an issue, and the Compact Double Grip Strong Shovel with Telescopic Handle is designed for easy use & easy storage and so ideal to keep in the car boot & caravan etc. It’s strong robust & lightweight, with a practical size of 97cm long when fully extended and only 77cm when collapsed. It became invaluable when trying to get on and off my drive – and that’s before even leaving the house! So make sure you’re prepared! You may find like I did that this is the most important item to have in your car! Don’t get caught out this Winter!